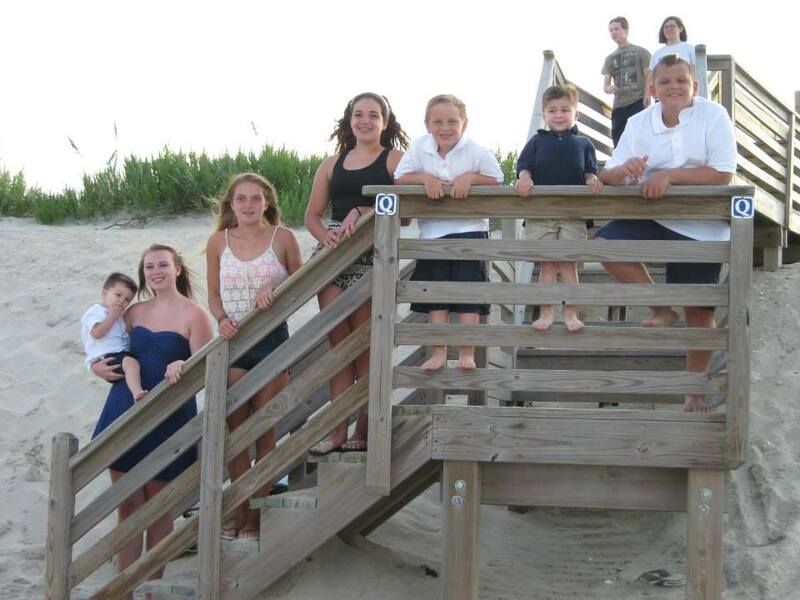 We just got back from our family vacation to the Outer Banks. We went with my sister and brother’s families as well as my husband and 2 stepdaughters. During my trip, I had many “baby” moments as were were traveling with seven children ranging in ages 2 to 16. But I noticed as the week went on that that my thoughts weren’t completely focused on NOT being a mom. Of course I had the occasional “what would it be like if I were here with my baby?” thoughts but more so I felt enjoyment by spending time with other people’s children. This is something I haven’t truly felt in a long time. I have spent a lot of time avoiding other people’s children because of my own fears and jealousy. It’s not something I am proud of but part of the process I guess. For the first time in a very long time, I didn’t feel jealousy towards my sister and sister-in-law for having something that I don’t but rather just enjoyed being Aunt Renee again. I also read a post from Justine from Ever Upward that reminded me that I am a mother to many people in my life. And while I may not have my own child, it was a reminder to me that I do have lots of children that I enjoy in my life.